Summary: If you're thinking of moving to Jamaica or retiring in Jamaica, deciding where to live is not as simple as you think. 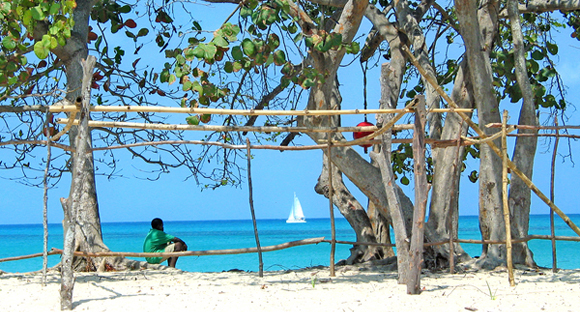 Jamaica is a large island with numerous cities and towns that appeal to expats. This article highlights the 7 best places to live in Jamaica. Jamaica is a beautiful island country located about 90 miles south of Cuba. With an estimated population of 2.7 million and an area of over 4,000 square miles, choosing where to live in Jamaica is not an easy decision. If you are moving to Jamaica with school-aged children, finding a school is often your first priority and influences where you decide to live. Our article, International Schools in Jamaica, offers an overview of schools in Jamaica popular among expats. Most of these schools are in the Mandeville, Montego Bay, Kingston and Ocho Rios areas. If you aren't bringing school-aged children, the list of places to consider grows longer. Proximity to beaches, cost of living, safety and nightlife are other factors to consider. "Areas I'd recommend are St. Ann (Ocho Rios area), St. James (Montego Bay area), Mandeville, Run Away Bay, Discovery Bay, Duncans. If you like the countryside, then Lower Trelawney (Falmouth) and surrounding areas are a good choice and close to the coast (about 15 minutes drive) -- the beach is close also. You can find accommodation in the tourist areas that I mentioned above -- except for Trelawney, which is a bit expensive. My advise is -- if you're looking to live there permanently, rent something just outside the tourist areas, which is cheaper. But, you will still be close enough to get to it within 15 minutes," advised a British expat in Jamaica. We searched our Jamaica Expat Forum and read through reports written by expats in our Expat Guide to Living in Jamaica and came up with a list of the 7 best places to live in Jamaica based upon our member's recommendations. If we missed your favorite place, please add it in the comments section below! An expat living in Negril advised, "There are LOTS of rental places in Negril, particularly on the west end. Check the grocery stores for postings, check the fences and electric poles for signs, etc. Get a driver for a couple hours to take you up and down the lanes, talk to people. Most housing is not advertised. Safe area - IMO cannot be guaranteed. Its really about how the apartment is, how the yard it's in is, what the lane it's on is like, and the unpredictable variable will always be the people who come or go from the area, who their associates are, if thieves decide to target an area, etc. Regardless of how 'safe' you think an area is or anyone says, you must still be vigilant and exercise care to secure your place and possessions." Another expat added, "6-700 monthly for rent is definitely doable in negril, even on the 'West End' and opposite the 7 mile beach strip. Re: safety, the other answer is pretty accurate, since there is no huge safe communities in negril, there are more like safe 'pockets' of an area, and just be aware like in any other third world country about your life style and you should be fine. People are warm and Negril folks appreciates the diversity." Mandeville is an inland city of approximately 70,000 (includes suburbs). Located about 45 minutes from the coast, Mandeville is home to Northern Caribbean University, a Seventh-Day Adventist Institution. "Mandeville is a 'retirement' community. 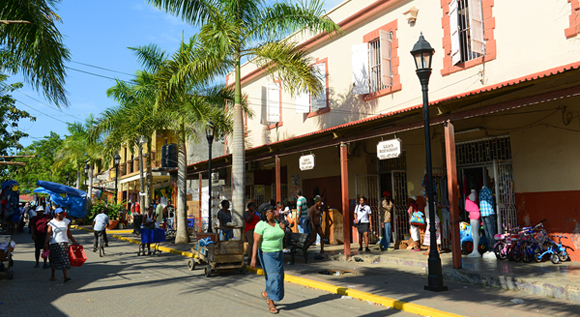 Central Mandeville is best known as the place where returning residents live. It has all the modern amenities but not much by way of night life and entertainment. If most of your business is in Kingston, ensure that you have a reliable motor vehicle, or if you prefer you can take the chartered Knutsford Express bus service. Apart from those things, you should have no difficulties in Mandeville. Your main problem will be the cost of housing, school (if you have school-age kids) and food which are all on the high-end in Mandeville," advised one expat in Jamaica. Another expat added, "There are a lot of expats in Mandeville, especially from the UK. Internet services should be on par, so that's something I doubt you will have to worry about. There are good high schools and preparatory schools if you have kids. The airport in Kingston will be the closer of the 2 and with the new highways constructed, it's pretty fast getting there. They have night clubs, but not as large or upscale as some in Kingston or the North Coast. Badminton Sports Club is a good way to socialize. Electricity bills can be quite high overall (I got a bill for over $20,000 on 1 vacation). Enjoy the cool hills of Manchester and best of luck to you." "Mandeville is a city in which you should settle in nicely. There is excellent internet access as long as you're not in the 'Boondocks', houses around town center and the upscale Ingleside area and surroundings should have utility costs that are on par with any developed side of the country esp since there are a large number of expats in Mandeville. Hidden costs sometimes is gas rate especially if you are driving a lot around town as well as touring other areas frequently," commented another expat. An expat in Jamaica whose children attend The Belair School in Mandeville said, "My three children hadn't started school in the UK so Belair was their first school. The school has Kindergarten, Prep and High school -- so you don't need to worry about changing schools. There are quite a lot of children there from the UK, US, China, Burmuda and other countries, some are expats and some are here for work. In high school, a lot of the students are boarding, because their parents find it a very good school." Ocho Rios is a town in the St. Ann Parish on the north coast of Jamaica. With a population of over 15,000, Ocho Rios is a popular tourist town and port for cruise ships. "When we first moved to Ochi, we were staying in an apartment that was rented out by my husband's company. Since the apartment was a bit far from downtown and also very dark, we started looking around for a new place. Our lease was almost up, so we were actively on the lookout. A friend of ours saw a sign right outside a nice looking complex advertising a real estate agency and we called right away. Now we live in an ocean front apt and couldn't be happier. We got lucky with our apartment. We have all the amenities many people in Jamaica go without (running water, washer & drier, hot water, AC etc). We even have a dishwasher which we never use, since electricity here is extremely expensive. Our kitchen appliances are modern and really nice. Our internet is much faster than in the US. We have a 2 bedroom/2 bathroom, with a nice balcony overlooking the ocean and the pool. We take our baby son for a swim almost every day," explained one expat. Another expat in Ocho Rios confessed, "I moved to Ocho Rios area 3 months ago.. I am enjoying Jamaica.. the slower pace when I go to the bank, stores really gets on my nerve.. I need a way to overcome getting so annoyed at slow service. By the way I found a beautiful apartment overlooking the ocean too..missing the A/C.. I find people here to be very nice.. neighbours that share ackee and breadfruit without hardly knowing me. I am loving my new life.. despite some of the USA comforts I am going without." Montego Bay is the capital of St. James parish and Jamaica's fourth largest city. With a population of approximately 110,000, Montego Bay is a popular tourist destination and the home to numerous hotels and resorts. Jamaica's largest airport, Sangster International Airport, is located in Montego Bay. There are several schools in Montego Bay that are popular with expats, including Montego Bay Christian Academy and Heinz Simonitsch School. "I finally made the move to Montego Bay. I found a great place in Coral Gardens and I'm all settled in," exclaimed one expat. Falmouth, Jamaica is the capital of Trelawny Parish. It's situated on the north coast of Jamaica about 40 minutes by car east of Montego Bay. With a population of approximately 8,000, the city's population rises dramatically with the arrival of each Royal Caribbean cruise ship. Royal Caribbean spent a reported $170 million building a new port called, "Historic Falmouth, Jamaica," which opened in 2011. This project employed many locals and has been helping to revitalize Falmouth. "I chose my community by asking friends and family for references. I wanted to reside near the airport but not in a commercial zone. I chose Retreat Heights which is located outside of the town of Falmouth but close enough to hotels, airport and entertainment. My housing costs are significantly lower than in the US. I am paying 30,000 per month for a two bedrooms with two bathrooms. I was just lucky to get such a deal but the average cost for this apartment is 45,000-65,000 per month. My light bill is 7,000 per month but I run my a/c unit each night just to fall asleep. My water bill is between 500 and 800 per month," commented one expat. Hopewell is a fishing village on the southern coast of Jamaica with a population of approximately 4,000. "Hanover is between Negril and Montego Bay. There is a nice little village called Hopewell which is a mix of locals and English, Americans who live there permanently and it's coastal -- you can walk to the beach," described one expat in Jamaica. Many Hopewell residents work in hotels in Montego Bay, which is 20+ minutes away. The historic Round Hill Hotel & Villas is also located in Hopewell. Kingston is the capital and largest city in Jamaica with a population of approximatly 600,000. One expat in Kingston, Jamaica described the area saying, "I am still amazed at the sight of huge 10 and 20 bedroom mansions in various parts of Kingston, where I live... though I am equally taken aback by the many garrisons (ghettoes) that are a part of Kingston. That's the side of Kingston you will see in most documentaries, juxtaposed against the sights of stunning beaches of Negril, Ochi, Mobay etc..." When asked about the best areas to live in Kingston, one former expat in Jamaica replied, "I used to live off Hope Road in Kingston 10. Very nice area near New Kingston. Also look into Trafalgar Park, which is adjacent New Kingston. Very beautiful safe area, but hard to find a place because people just hang onto it." Another said, "You can use Google Maps, it's quite accurate. Anything ABOVE Half Way Tree Road is OK. 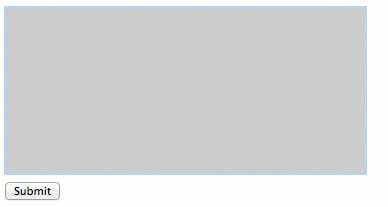 Nothing below HWT is suitable for your purposes. That's a general statement, but useful for guidance purposes." I'm glad to see the best place to live in Jamaica, where I lived on a pristine beach for 8 years, is NOT on the list! I'm still planning to go back there to retire, so hopefully it still won't be 'discovered' and the tourists and commercialism will stay away!